Say “I do” in your own dream wedding shoe! This weeks fabulous find – perfect for those weddings abroad or closer to home…..bespoke bridal shoes…design your own wedding shoe…how amazing is this concept? Read a little about the Upper Street website below…if you do order any please pop back here and let us have a sneak peek! When it comes to your wedding day, you are allowed to be fussy. Chances are you’ve already thought a lot about your venue, your theme and the dress of your dreams. Everything has to be perfect, so don’t trip over the issue of shoes! Whether you’ve already got an idea of the sort of thing you’d like, or you’re still on the search for that spark of inspiration, Upper Street present you with everything you could possibly need to design your own, one-of-a-kind wedding shoe. Of course, your wedding day is the time to go all out; don’t be afraid to accessorise your shoes with a choice of beautiful embellishments! Add a jewel to the tip, or perhaps a sparkling trim or toecap, for just a flash of glamour.To make your shoe extra special, commemorate your day with a secret inscription on the insole. Whether it’s a favourite quote from your wedding song, the names of you and your fiancé or simply the date of your wedding, a personal inscription is one of the loveliest ways to add a little extra magic to the most special day of your life.Why not dip your toes into our design masterclasses where we guide you through the entire process of designing your dream wedding shoes? 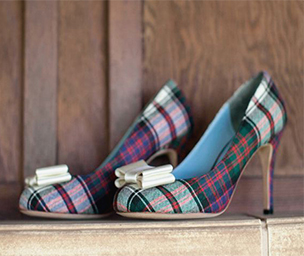 We show you how to design a classic bridal shoe, learn how to design your shoes with tartan or create your own vintage masterpiece or if you are ready to dive straight in, get your creative juices flowing with our online 3D design tool.Of course, the process of designing your shoes can be one of the most exciting tasks during the lead up to the big day; make an event of it, and enjoy some Very Important Bride treatment in our luxury Shoe Lounge. 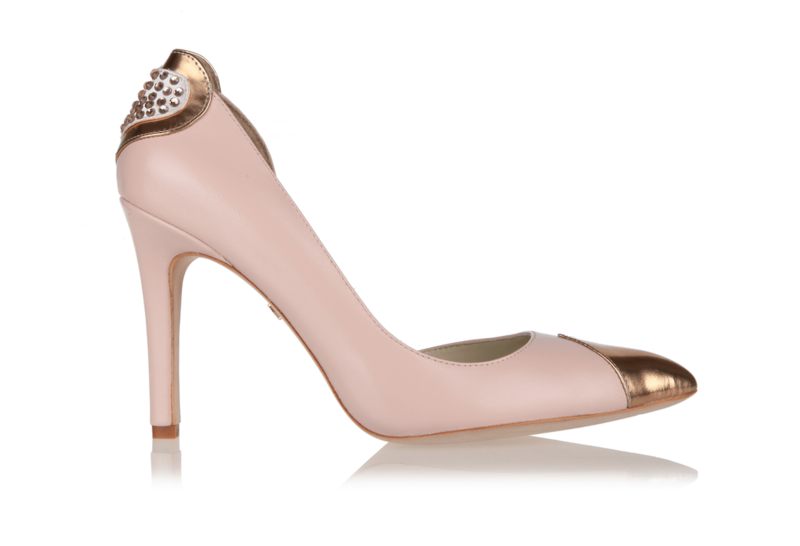 Bring your bridesmaids along for advice; who knows, maybe you’ll find the perfect bridesmaid shoe to compliment your own. To book a complimentary design appointment please email iloveshoes@upperstreet.com or call +44 (0)207 148 7070.